Balius Farm offers excellent new facilities, services and management for thoroughbred broodmares, foals, weanlings and yearlings, and spelling racehorses. An ideal family set up, we are small enough to listen to you, and to care for your horses as individuals. Your horses are individually looked after at Balius Farm, with individualized feeding regime – for those fastidious finicky eaters. We provide your horses with safe fencing, plentiful pastures, and a personal attention. You, the owners, will rest assured that your horses are treated as individuals, with the best of care from our hands-on approach. Furthermore, Balius Farm also enhances the agistment service, to include stabling, rugging, experienced veterinary and farrier care. 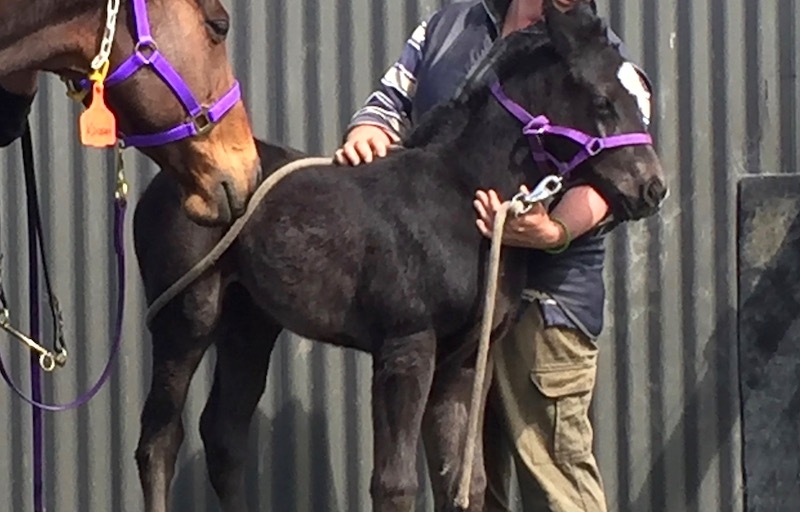 • Foaling – we offer state of the art high technology foaling services. Foaling paddock is lighted and monitored by round the clock CCTV. Mare is also closely monitored with a "foaling app", complemented by daily milk tests. Staff on foaling watch is stationed in a gypsy wagon, almost in the paddock, within arms reach of the mare. In an emergency, the vet is only minutes away. Our proximity to the new Pakenham racetrack, and our plentiful pastures combine to make Balius Farm the ideal seasonal or permanent base for any broodmare and racehorse in the east region.